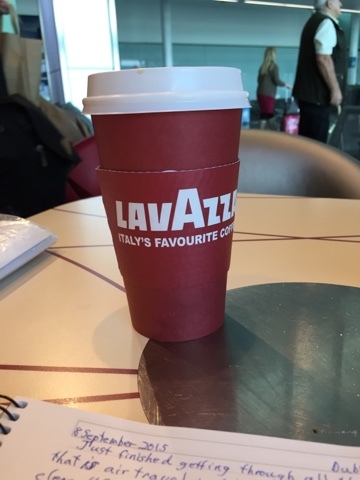 Enjoying a Lavazza (Italy's favorite coffee) Americano in the Dublin airport. Walking the long hallway to gate 423 I feel a deep peace within. This fierce landscape with its monastic legacy has scarred my soul, opened up deep springs of peaceful holy waters which are bubbling up, overflowing my cup.